We have an overview of the wolf populations throughout Europe, which don’t look too bad overall and even pretty good in some countries. Years of public education, creating awareness, and providing government support finally appear to be paying off. The continuous heat wave conditions that started in early summer in South Africa and has been continuing since in some parts of the country is also taking its toll on pets. Please read the item on this subject and see if you can help. This exciting two-day trip offers you hands-on dogsled training from professional sled dog outfitters. Feel the wind tug at your hat as you handle a dog sled team dashing through the woods! Your weekend experience also includes meeting our ambassador wolves at the International Wolf Center, learning about their behaviours, and participating in the popular “What’s for Dinner” wolf feeding program. Munch. Crunch. Get out into the northern forest and find out what the word wildlands really means. We start with an overnight with our ambassador wolves at the International Wolf Center where you’ll gain an appreciation of wolf behaviour and pack dynamics. We will also delve into the history and ecology of the Northern Forests. The next day we’ll snowshoe into the BWCA to explore both natural and human-caused landscapes such as blow downs, fires, logging, and insect infestation, while searching for signs of both predator and prey. Join us at the International Wolf Center to learn All About Wolves! 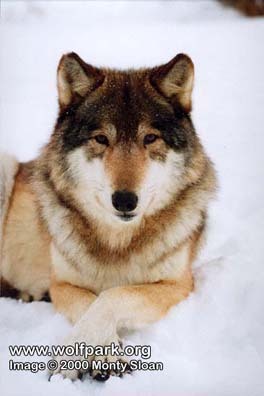 You will discover the natural history of wolves, wolf ecology, behaviour, and taxonomy. Using scientific data, you will examine wolf predation and depredation, and analyze the effects it has on different human and animal populations. The programs wraps up with an examination of the different value systems people have regarding wolves, and learn about wolf policy and management programs. Live the life of a wolf biologist! Join us for our Tracking the Pack adventure and you’ll learn your way around the tools biologists use in the field to locate and study wild wolves. Then the staff will take you out to the wolves’ natural habitat to test your newly learned telemetry skills. 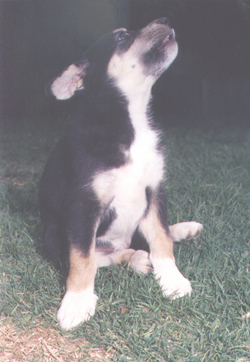 Find the signal, hop on the bus, and search for that elusive radio collar signal! Come on, ladies – you know you want a break from the everyday grind. Head up to Ely for a unique Wine, Women and Wolves Weekend! Where else can you spend an evening lounging in your sleeping bag, sipping wine, and observing wolves? During the day we’ll get you strapped into some snowshoes and teach you how to use our real life telemetry equipment. Then it’s out into the BWCA, searching for wolves in a learning experience you’ll never forget! Anti-wildlife senators in Washington, D.C. have introduced a series of amendments to the Energy Bill that would cripple wolf conservation and set wildlife protection back by decades. These amendments would undermine protections for individual species like wolves and tear away at the very fabric of the law by limiting citizens’ ability to enforce essential protections of the Endangered Species Act (ESA) in court. The “forget your day in court” amendment – tries to block citizens from going to court to hold the government accountable when it does not properly enforce the ESA. This amendment would bar recovery of legal fees otherwise available under the law and allow local governments to veto a federal court’s decision to enforce the law with regard to certain species. In the past year alone, anti-wildlife forces have introduced over 90 legislative measures aimed at crippling America’s commitment to restoring and protecting imperilled wildlife. There have been more than 90 legislative measures introduced this Congress to undo decades of wildlife conservation progress and abandon the wildlife we all love. If these measures pass, wolves will die. Other wildlife will lose protection. And still others will find their habitat plundered and destroyed. Most recently, anti-wildlife senators in Washington, D.C. have introduced a series of amendments to the Energy Bill that would cripple wolf conservation and set wildlife protection back by decades. The “forget your day in court” amendment – blocks citizens from going to court to hold the government accountable when it does not properly enforce the ESA. This amendment would bar recovery of legal fees otherwise available under the law and allow local governments to veto a federal court’s decision to enforce the law with regard to certain species. The anti-wildlife forces have their high paid lobbyists and lawyers. Wildlife have you and me as their voice – we’re the premier organization speaking out on behalf of wildlife and wild places. You and I know that most Americans love their wildlife and want to see it protected. It’s up to you and me to make sure the true voices of Americans are heard on Capitol Hill. Even as grey wolves in the Northern Rockies die by the thousands, there are other wolf populations in even more dire shape still! In the Southwest, Mexican grey wolves (also known as lobos) are still hanging by a thread. What’s worse, anti-wolf forces in Congress have introduced an extinction bill that would terminate all recovery efforts for the lobos altogether. Earlier this month, wolf advocates from Utah, Arizona, New Mexico and Colorado rallied to support the recovery of Mexican grey wolves in their respective states. Despite the fact that the lobo is the most endangered grey wolf in North America, the governors from the Four Corner States are attempting to undermine the recovery of this ecologically indispensable species, and subverting the will of their constituents. While Defenders of Wildlife and our passionate members took part in each of the rallies in the four states, we were especially active in New Mexico and Colorado. First on the agenda was the Colorado Parks and Wildlife Commission meeting in Denver. The Commission was expected to vote on the anti-wolf resolution at its January meeting, so we encouraged all local wolf advocates to rally and speak out for wolf recovery in Colorado. To prepare for this fight, Defenders hosted a series of briefings to explain why Mexican grey wolves need to expand into Colorado to survive. Wolf advocates learned how to write compelling comments and testimony, and more than 50 supporters rallied with us and our partners in the conservation community at the hearing. As expected, the pro-wolf community turned out in force to the Commission meeting. The meeting room was filled to capacity with 150 people, and 30 additional attendees were forced to stand outside the meeting room doors listening to the debate. On top of that, 100 more people waited outside the building, hoping to have the opportunity to testify. It was fantastic to see wolf supporters dominating the turnout. Unfortunately, the Colorado Parks and Wildlife Commission voted to approve its anti-wolf resolution, which “opposes the intentional release of any wolves into Colorado,” including Mexican grey wolves. Even though this decision was a blow to Mexican grey wolf recovery, we were so inspired by the number of passionate citizens who showed their support for one of our most iconic animals. At its August meeting in Santa Fe, the New Mexico Fish and Game Commission heard an appeal from the U.S. 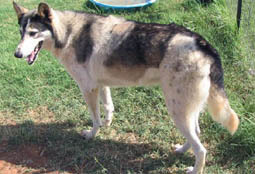 Fish and Wildlife Service, after the Commission had denied the Service’s permit to release captive wolves into New Mexico. The following month, the commission denied the appeal at its meeting in Albuquerque, and in October, the Turner Endangered Species Fund (http://www.defenders.org/press-release/nm-game-and-fish-commission-denies-ted-turner-ladder-ranch%E2%80%99s-appeal-support-lobo) made its appeal on the denial of the permit it has held for the past 17 years to hold Mexican grey wolves at its Ladder Ranch pre-release facility. These large, fenced holding pens gave Mexican grey wolves a safe haven en route to or from the wild. At each commission meeting, we gathered with dozens of Defenders of Wildlife members to show our support for wolves. We were not allowed to speak at any of these meetings, so instead, we held signs that read, “More Wolves, Less Politics.” The message was a powerful if silent one. When the rally before last week’s meeting began at 8 a.m., the mercury measured below 20 degrees. But despite the cold temperatures, more than 50 activists – roughly the number of Mexican wolves in the state – gathered outside to march with signs and listen to speakers comment on this pressing matter. It was heartening to see so many dedicated advocates brave the elements in support of Mexican grey wolves. Even after the commission voted unanimously to deny the permit, we recognized that our fight was not over. Despite continued opposition from the game commission, wolf advocates have continued to make their voices heard in letters to the editor, at meetings with local elected leaders, and at rallies and meetings across our state. Without a doubt, we’ve made this an issue that the state cannot ignore. The momentum for protecting Mexican grey wolves is strong, and together, we succeeded in raising the profile and visibility of this important issue. Defenders will keep moving forward with our wolf recovery efforts and we hope that you will continue to speak out and stand with us. The enthusiasm and dedication of hundreds of wolf supporters in New Mexico and Colorado sent a clear message from wildlife advocates that we are not giving up until lobos are home for good! The state government with the highest body count of wolves in the West has unleashed a new round of aerial killing. Once again, the purpose is to artificially inflate elk numbers for sport hunters and boost the sale of elk hunting licenses. And once again, the killing is happening on public land. We’re still trying to learn how many wolves have already been shot from the air in Idaho’s Lolo National Forest. But even one wolf killed in this way is unconscionable. The deeply disturbing actions by the Department of Agriculture’s Wildlife Services agency working on behalf of the state of Idaho must stop. And the U.S. Forest Service is letting it happen on its land! It’s now up to the federal government to put the brakes on Idaho’s vendetta against wolves. What we continue to see over and over again is that Idaho does whatever it wants, whenever it wants, with zero consequences when it comes to wolves. This latest outrage comes less than a month after Idaho state officials “accidentally” put radio collars on wolves in the nearby Frank Church-River of No Return Wilderness area managed by the Forest Service. The state has not ruled out using those unauthorized collars at some point to follow the wolves back to their packs and kill them. While those are not the wolves currently being gunned down in the Lolo, it’s just one more indication that Idaho’s war on wolves will continue and is completely out of control. Since Congress prematurely forced Idaho’s wolves off the endangered species list in 2011, more than 1,900 wolves have been killed in that state. Both the U.S. Forest Service and Wildlife Services are agencies in the Department of Agriculture. 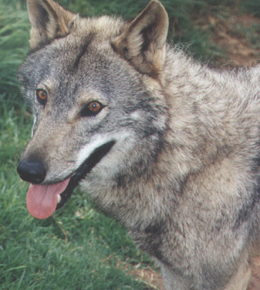 The following is a summary of Mexican Wolf Reintroduction Project (Project) activities in the Mexican Wolf Experimental Population Area (MWEPA) in Arizona, including the Fort Apache Indian Reservation (FAIR), and New Mexico. Additional Project information can be obtained by calling (928) 339-4329 or toll free at (888) 459-9653, or by visiting the Arizona Game and Fish Department website at www.azgfd.gov/wolf or by visiting the U.S. Fish and Wildlife Service website at www.fws.gov/southwest/es/mexicanwolf. Past updates may be viewed on either website, or interested parties may sign up to receive this update electronically by visitingwww.azgfd.gov/signup. This update is a public document and information in it can be used for any purpose. The Project is a multi-agency cooperative effort among the Arizona Game and Fish Department (AGFD), USDA Forest Service (USFS), USDA-Animal and Plant Health Inspection Service, Wildlife Services (USDA-APHIS WS), U.S. Fish and Wildlife Service (USFWS) and the White Mountain Apache Tribe (WMAT). In December, the Bluestem Pack continued to use their traditional territory in the central portion of the Apache-Sitgreaves National Forest (ASNF). Bluestem wolves’ m1382, m1404, and f1443 have been located in their traditional territory during the month with at least two other uncollared wolves, while m1331, f1333, and f1405 have been located separate from the pack. Wolf m1331 has been located in the north-east portion of the GNF in New Mexico in December. Wolf f1333 has been travelling with the Hoodoo Pack, and wolf f1405 has been located travelling with M1161 for more than three consecutive months and are now referred to as the Buckalou Pack. M1161 and f1405 have been documented travelling together in the east-central portion of the ASNF for more than three months and are now referred to as the Buckalou Pack. In December, the Elk Horn Pack continued to make broad movements within their traditional territory in the northeast portion of the ASNF. The IFT continued to document only the collared pair travelling together. In December, the Hawks Nest Pack was located within their traditional territory in the north central portion of the ASNF. A minimum of four sets of tracks associated with the Hawks Nest Pack was documented. Wolf f1439 dispersed from the Hawks Nest Pack and has remained with M1296, of the Mangas Pack, in the north-western portion of the Gila National Forest (GNF) in New Mexico. In December, the Hoodoo Pack remained localized in the north-central portion of the ASNF. AM1290 has been located travelling with Bluestem f1333. 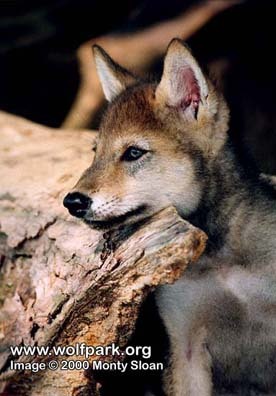 Wolf mp1441 has been documented travelling alone. During December, the Maverick Pack was located within their traditional territory both on the FAIR and ASNF. The IFT has documented a minimum of four animals travelling together. In December, the IFT documented the Fox Mountain Pack (m1396 and AM1158) outside of their traditional territory and travelling with f1397 of the Willow Springs Pack. During December, the Luna Pack remained in their traditional territory in the north-central portion of the GNF. The IFT documented dispersal behaviour of m1398 travelling between the east-central portion of the ASNF in Arizona and the north-central portion of the GNF in New Mexico. During December, the Prieto Pack was located within their traditional territory in the north-central portion of the GNF. The IFT documented dispersal behaviour of f1392 which was located with single wolf M1284 in the north-central portion of the GNF. In December, the IFT located Willow Springs Pack f1397 in its traditional territory in the north central portion of the GNF travelling with Fox Mountain m1396 and AM1158. AM1185 was located dead in New Mexico this month. During December, the IFT located M1284 travelling with dispersing wolf f1392 from the Prieto Pack within the GNF in New Mexico. During December, M1296 was located travelling with dispersing wolf f1439 from the Hawks Nest Pack in north western portions of the GNF in New Mexico. 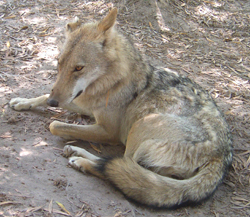 The following is a summary of Mexican Wolf Reintroduction Project (Project) activities in the Mexican Wolf Experimental Population Area (MWEPA) in Arizona, including the Fort Apache Indian Reservation (FAIR), San Carlos Apache Reservation (SCAR) and New Mexico. Additional Project information can be obtained by calling (928) 339-4329 or toll free at (888) 459-9653, or by visiting the Arizona Game and Fish Department website at www.azgfd.gov/wolf or by visiting the U.S. Fish and Wildlife Service website at www.fws.gov/southwest/es/mexicanwolf. Past updates may be viewed on either website, or interested parties may sign up to receive this update electronically by visiting www.azgfd.gov/signup. This update is a public document and information in it can be used for any purpose. The Project is a multi-agency cooperative effort among the Arizona Game and Fish Department (AGFD), USDA Forest Service (USFS), USDA-Animal and Plant Health Inspection Service, Wildlife Services (USDA-APHIS WS), U.S. Fish and Wildlife Service (USFWS) and the White Mountain Apache Tribe (WMAT). The Fish and Wildlife Service met with the 11 South-western Region Forest Supervisors on February 4 to give an overview of the Mexican Wolf Recovery Program. The Fish and Wildlife Service and the Arizona Game and Fish Department met with the Forest Service’s Black Mesa Ranger District and local permittees on February 8 to discuss release/translocation sites for Mexican wolves. The Fish and Wildlife Service and the Arizona Game and Fish Department will participate in the USDA Wildlife Service’s Non-Lethal Damage Management Workshop at the Hon dah Casino and Hotel on February 18. The IFT continued efforts to document the overall wolf population this month with track counts and visual observations being obtained on known packs. Food caches and trail cameras were also being deployed in an effort to document the uncollared portion of the population. Project personnel commenced the end-of-year population count on January 20. The population count will conclude February 6 and the minimum population estimate for 2015 will be available in February. As a result of survey and capture efforts associated with the end-of-year population count, the collared population at the end of January 2016 consisted of 52 wolves with functional radio collars dispersed among 20 packs and 2 single wolves. 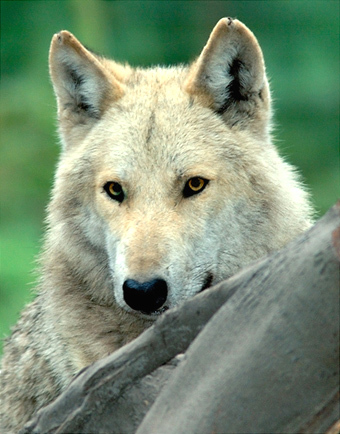 Uncollared wolves confirmed by IFT personnel anytime during November, December and January. On January 20, the IFT captured AM1296, from the Mangas Pack. This wolf was re-collared and released it back into the pack territory. On January 23, the IFT captured AF1295, from the Lava Pack. This wolf was re-collared and released back into the pack territory. On January 25, the IFT captured M1342, from the Elk Horn Pack. This wolf was re-collared and released back into the pack territory. 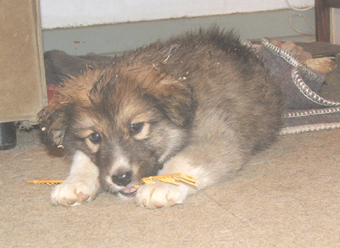 On January 25, the IFT captured and collared mp1453 from the Hawks Nest Pack. The wolf was processed and released back into the pack territory. On January 25, the IFT captured m1383 from the Hawks Nest Pack, replaced the collar and released the wolf back into the pack territory. On January 25, the IFT captured AM1341 from the Bluestem Pack. This wolf was fitted with a collar and released back into the pack territory. On January 26, the IFT captured M1345 from the San Mateo Pack. The wolf was re-collared released back into the pack territory. On January 26, the IFT captured AF1115 from the Luna Pack. The wolf was re-collared and released back into the pack territory. On January 26, the IFT captured AM1155 from the Luna Pack. The wolf was re-collared and released back into the Luna pack territory. On January 26, the IFT captured m1354 from the Dark Canyon Pack. 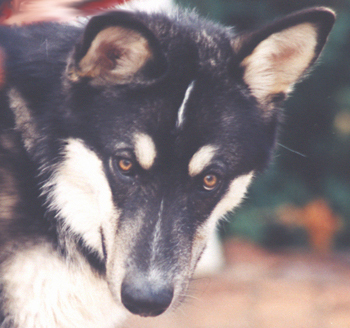 The wolf was re-collared and released on site. On January 28, the IFT captured wolf M1249 from the Diamond Pack. The wolf was re-collared and released back into the pack territory. On January 28, the IFT captured and collared mp1454 from the Diamond Pack. The wolf was released back into the pack territory. On January 28, the IFT captured mp1442 from the Marble Pack. The wolf was evaluated for a foot injury and released back into the pack territory. On January 28, the IFT captured AF1340 from the Marble Pack. The wolf died within minutes of being captured. On January 28, the IFT captured AM1243 from the Marble Pack. The wolf was re-collared and released back in the pack territory. In January the Bear Wallow Pack was located within their traditional territory in the east-central portion of the ASNF and the northeast portion of SCAR. In January, the Bluestem Pack continued to use their traditional territory in the central portion of the Apache-Sitgreaves National Forest (ASNF). Bluestem wolves’ m1382 and f1443 have been located in their traditional territory during the month with at least two other uncollared wolves, while m1331, f1333, and f1405 have been located separate from the pack. Wolf m1331 has been located in the north-east portion of the GNF in New Mexico in January. Wolf f1333 has been travelling with the Hoodoo Pack. Wolf m1404 has been documented travelling with f1405 of the Buckalou pack. The collar on M1161 is non-functional. The wolf was not observed travelling with f1405 in January. Wolf m1404 was observed travelling with f1405 at the end of the month. In January, the Elk Horn Pack continued to make broad movements within their traditional territory in the northeast portion of the ASNF. On January 25, the IFT captured and replaced a non-functional radio collar on M1342. The wolf was released back into the Elk Horn territory. In January, the Hawks Nest Pack was located within their traditional territory in the north central portion of the ASNF. Wolf f1439 dispersed from the Hawks Nest Pack and has remained with M1296, of the Mangas Pack, in the north-western portion of the Gila National Forest (GNF) in New Mexico. AF1280 was not observed with the Hawks Nest Pack in January One uncollared wolf was documented travelling with the Hawks Nest Pack. On January 25 an uncollared wolf (now designated mp1453) and m1383 were captured, processed, and released back into the Hawks Nest Pack territory. In January, the Hoodoo Pack remained localized in the north-central portion of the ASNF. AM1290 has been located travelling with Bluestem f1333. Wolf mp1441 has rejoined AM1290 and f1333 and have been travelling together this month. In January, the Marble Pack was located in their traditional territory in the northwest-central portion of the ASNF. On January 28, the IFT captured AM1243, AF1340 and fp1442. AF1340 died within minutes of being captured. AM1243, formerly of the Paradise Pack, was re-collared and released back into the Marble Pack territory. Wolf fp1442 was evaluated to assess a foot injury and released back into the Marble Pack territory. During January, the Maverick Pack was located within their traditional territory both on the FAIR and ASNF. The IFT has observed 2 uncollared wolves travelling with the pack this month. During January, the Panther Creek Pack has been located in the east-central portion of the ASNF. The IFT observed 2 collared wolves with this pack in January. During January, the Diamond Pack was located in the eastern portion of the FAIR and the north portion of the ASNF. 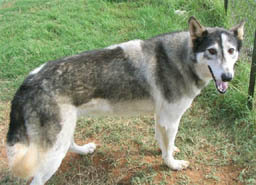 Wolf mp1447 regularly travelled with the Diamond Pack and the IFT determined that this animal is a Diamond Pack member. On January 28, the IFT captured and re-collared M1249. On the same day, the IFT captured and collared mp1454. Both wolves were released back into the pack territory. During January, the Tsay o Ah Pack was located in the eastern portion of the FAIR. The IFT documented 1 uncollared wolf travelling with the pack. During January, mp1447 was located in the eastern portion of the FAIR, traveling regularly and extensively with the Diamond Pack. The IFT determined that this animal is a Diamond Pack member. During January, AM1051 of the Coronado Pack was documented on a trail camera travelling alone in the Gila Wilderness. During January, the IFT located this pack within its traditional territory in the west-central portion of the Gila National Forest (GNF). On January 26, the IFT captured and re-collared m1354. 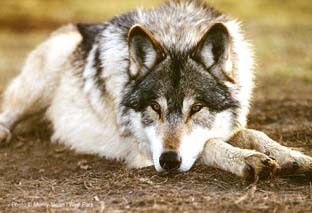 The wolf was processed, re-collared and released on site. In January, the IFT documented the Fox Mountain Pack (m1396 and AM1158) outside of their traditional territory and travelling with f1397 of the Willow Springs Pack. 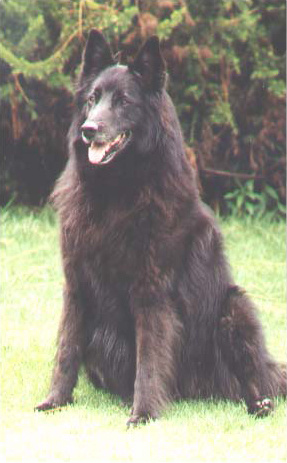 Having been consistently located together for three months, f1397 is now considered a member of the Fox Mountain Pack. During January, the Iron Creek Pack continued to utilize their territory in the northern portion of the Gila Wilderness and the southern portion of the GNF. In January, the Lava Pack was located in its traditional territory between the Gila Wilderness and the Elk Mountains. On January 23, the IFT captured AF1295. The wolf was re-collared, processed and released back into the packs territory. On January 27 the wolf died and was recovered. The cause of the death is pending due to necropsy being performed. During January, the Luna Pack remained in their traditional territory in the north-central portion of the GNF. The IFT continues to document dispersal behaviour of m1398 travelling between the east-central portion of the ASNF in Arizona and the north-central portion of the GNF in New Mexico. On January 26, the IFT captured via helicopter, both AM1155 and AF1115. The wolves were re-collared and released back into the pack territory. During January, the Prieto Pack was located within their traditional territory in the north-central portion of the GNF. During January, f1392 has continued to be located with single wolf M1284 in the north-central portion of the GNF. Wolf m1386 displayed dispersal behaviour in January, but was later located back within the packs territory. During January, the San Mateo Pack was located within their traditional territory in the north eastern portions of the GNF. F1399 was observed with M1345 in January. In January, the IFT located Willow Springs Pack f1397 in its traditional territory in the north central portion of the GNF travelling with Fox Mountain m1396 and AM1158. 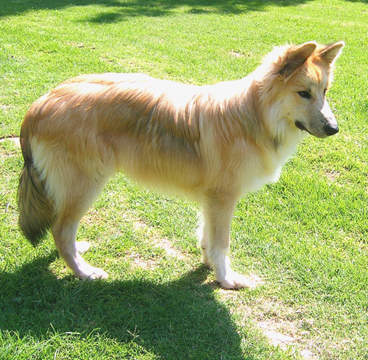 Having been consistently located together for three months, f1397 is now considered a member of the Fox Mountain Pack. During January, the IFT located M1284 travelling with dispersing wolf f1392 from the Prieto Pack within the GNF in New Mexico. During January, M1296 was located travelling with dispersing wolf f1439 from the Hawks Nest Pack in north western portions of the GNF in New Mexico. On January 20, M1296 was captured during the helicopter population survey, re-collared and released back into the Mangas Pack territory. On January 23, Lava Pack AF1295 was captured during the annual population survey, processed and released. The wolf was found dead on January 27. A necropsy will be conducted at the Fish and Wildlife Service’s Forensics Laboratory in Ashland, Oregon, to determine causes of death. On January 28, Marble Pack AF1340 was captured, during the annual population survey. The wolf died within minutes of its capture. A necropsy will be conducted at the Fish and Wildlife Service’s Forensics Laboratory in Ashland, Oregon, to determine causes of death. During January, there was 1 livestock depredation report involving wolves and no nuisance reports. On January 16, Wildlife Services investigated a dead cow north of the town of Luna in New Mexico. 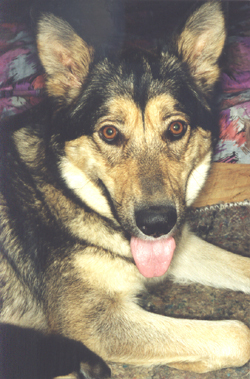 The investigation determined the cow was killed by a wolf. We have an urgent crisis in the communities we serve in Johannesburg, South Africa that is causing widespread animal suffering. Can you please help the animals? The area has suffered heat wave after heat wave. As a result, a tsunami of ticks and fleas are infecting family pets with deadly illnesses like biliary. The dogs we’re treating have high fevers, and they’re listless, tired and very ill.
Sandy, the sweet dog pictured above, was so tired that her legs just gave out on the examination table. The heat waves have also caused widespread water shortages, so we’re treating a lot of dogs for severe dehydration. Some pet owners are even surrendering their beloved dogs to us because they can’t provide them with water or food. Your gift can help provide vital care to the animals we help in Johannesburg and around the world. You’ll help us care for dogs, cats, and so many other animals that urgently need us. We’ve seen it over and over again – when times are tough for people, they need their animal companions more than ever to get them through. The people in the impoverished Johannesburg townships we serve love their animals dearly. But when they have no water, and barely enough food to feed their children, they sometimes have to make the heartbreaking decision to give up their pets. I can’t imagine how deeply sad that is for these families. But they know that we’ll take good care of their pets and find them loving homes. It’s still summer in Johannesburg, and we’re continuing to see pets surrendered to us, we’re still treating so many cases of biliary and other diseases, and we’re caring for dogs suffering from starvation and dehydration. Our staff is working as hard as they can to keep up, but we could really use your help to buy more antibiotics to cure infections, bags of intravenous fluids to quickly replenish dehydrated dogs, and medicine and bandages to treat the skin of dogs with mange. Make an emergency gift for animals today. Your support for our lifesaving work around the world is even more crucial during times of crisis. I hope I can count on you now to help us save animals in Johannesburg and around the world. Thank you for helping us save suffering animals like Sandy and Buddy. Europe, excluding Russia, Belarus and Ukraine, is home to some 12,000 wolves in more than 28 countries. Greenland has a population of 20-100 wolves, which are afforded protection in approximately 90% of their range, though no compensation is paid for livestock damage. Portugal has a stable wolf population of 200-300, which is afforded full protection. Compensation is paid for livestock damage. Spain‘s wolf population is estimated at 2,000 and growing. Wolves are considered a game species, though they are protected in the southern regions of the country. Compensation is paid for livestock damage, though this varies according to regional laws. In Italy, wolves are a protected species, with current estimates indicating that there are 600-700 wolves living in the wild (according to other sources, up to 800). The largest concentrations of wolves occur in the Italian national parks in Abruzzo, mostly in the Abruzzo, Lazio e Molise, in Calabria, in the Pollino, on Appennino Tosco-Emiliano, and, more recently, on the Alps. Isolated individuals have been sighted in the vicinity of human populated areas such as Tuscany, Bologna, Parma and Tarquinia. Wolves have also been sighted denning 25 miles from Rome, with one small population living in the regional park of Castelli Romani. Currently, Italian wolf populations are said to have been increasing at a rate of 6% a year since the 1970s, though 15% of the total Italian wolf population is reported to succumb annually to illegal poaching and road accidents. Compensation is paid by regional governments for livestock damage. 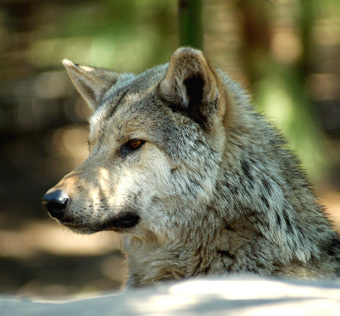 Italy’s leading wolf biologist, professor Luigi Boitani of the Sapienza University of Rome, expressed concern that the Italian wolf recovery may have been too successful, due to a large portion of the public refusing to concede to the possibility of rising wolf populations requiring management in the future. Wolves migrated from Italy to France as recently as 1992, and the current French wolf population is said to be composed of 40-50 individuals and growing. Estimates in 2005 put the figure at between 80 and 100. Under the Berne Convention, wolves are listed as an endangered species and killing them is illegal. Official culls are permitted to protect farm animals so long as there is no threat to the national population as a whole. Compensation is paid for livestock damage. Wolves were first spotted in Germany in 1998, and are thought to have migrated from western Poland. Currently, there are around 150 wolves in 26 packs now roaming in Germany, most of them in the eastern German region of Lusatia, and they are now still expanding their range to the west and north. In July 2012, for the first time in 150 years, wolves were born in Heidekreis in Lower Saxony, which confirms the spread of wolves from the eastern part of Germany. In October 2014 Lower Saxony had a wolf population of circa 50 animals: 5 packs, all with confirmed pups in 2014, 2 confirmed mated pairs and one territorial unpaired female. Under German law wolves are a protected species, in several regions livestock damage compensation programmes exist. 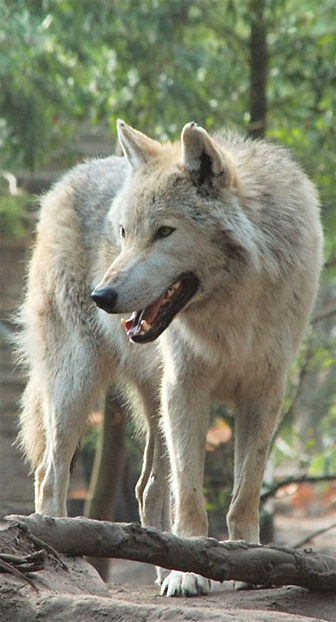 In 2011 wolves were spotted in Belgium and the Netherlands in several locations. The different lone wolves are probably from the French or Italian populations. Since wildlife corridors and wildlife crossings over highways are being created that connect wildlife areas in the Netherlands, such as the Veluwezoom National Park and the Oostvaardersplassen with the Klever Reichswald in Germany, nature conservation organisations expect wolves to migrate to the low countries in the near future. In Switzerland there is one wolf pack in the Calanda mountain and several lone wolves. Wolves are afforded protection, and livestock damage compensation is paid by Cantons. Swiss authorities gave permission to shoot eight wolves between the years 2000 and 2013. The Scandinavian Peninsula has a population of over 300 wolves (official number in 2012/2013 was 350-410 wolves that is shared between Sweden and Norway. The Norwegian population is located in the southeast, close to the Swedish border, and consists of about 30 wolves. The population is protected and compensation is paid for livestock damage. Sweden has a protected population of around 300 wolves, and compensation is paid for livestock damage. The Swedish wolf population is restricted to forested areas in mid-Sweden. The Scandinavian wolf population is open to some immigration from Finland. The last wolf in Denmark was shot in 1813, but in 2009, 2010 and 2012 there was speculation that a wolf had crossed the border from Germany due to numerous observations, latest in the national park of Thy. This was confirmed after an autopsy, which also concluded that the particular wolf had died from side effects of a cancerous tumour. It was the first known wolf in Denmark for 199 years. In 2013, three different lone wolves have been observed in Denmark. According to local biologists based on sound recordings, one pair have had pups. Compensation is paid for livestock damage. Finland has an almost stable population of 97-106 wolves. Wolves are legally hunted only in areas with high reindeer densities. Compensation for livestock losses are paid by the state and insurance companies. 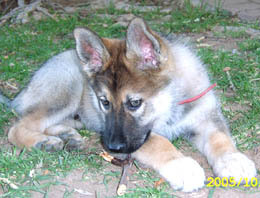 The population is connected to the large Russian wolf population. Poland has a population of 700-800 wolves and increasing. Since 1995, they have been a protected species, and compensation is paid for livestock losses. Estonia has a quite stable wolf population of around 200, down from around 500 in the middle of the 1990s. The official standpoint considers the optimal population to be 100-200. At rough scale the distribution range includes the whole country. In 2007, new version of the law on nature conservation introduced compensation for livestock damage, paid by the state. Lithuania has a population of 300-400, which are increasing in number. The species is not protected, and only insured livestock receives compensation. Latvia has an unprotected population of 600 wolves, down from 900 in the middle of the 1990s. No compensation is paid for livestock damage. Belarus is home to a population of 1,500-2,000 wolves. With the exception of specimens in nature reserves, wolves in Belarus are largely unprotected. They are designated a game species, and bounties ranging between €60 and €70 are paid to hunters for each wolf killed. This is a considerable sum in a country where the average monthly wage is €230. No compensation is paid for livestock losses. Ukraine has an unprotected, yet stable population of appr. 2,000 wolves. 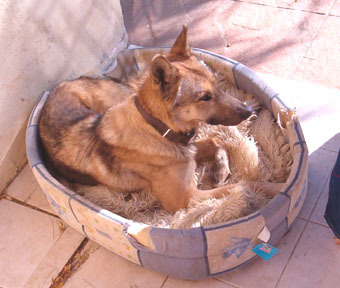 Since May 2007, the killing of pregnant females and pups is banned. No compensation is paid for livestock losses. Many of the wolves live in the Zone of alienation north of Chernobyl, where they face few natural threats. This applies equally to the Belarusian part of the zone. The Czech Republic has a stable and protected population of 20 wolves, though there are no livestock damage compensation programmes. 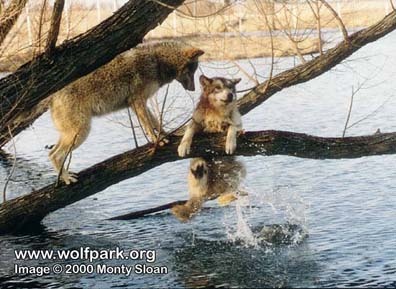 Slovakia has a stable population of 350-400 wolves which are considered a game species, though with some exceptions. No compensation is paid for livestock losses. Slovenia has a population of 70-100 wolves and increasing. Since 1991, they have been a protected species, and compensation is paid for livestock losses. Croatia has a stable population of around 200 wolves. Since May 1995, they have been a protected species, and the wilful killing of wolves can result in a fine equivalent to $6,000. However, according to Dr. Djuro Huber of the University of Zagreb, illegal wolf killings increased after the protection scheme began, resulting in the deaths of 40 wolves. Compensation is paid for livestock losses. Bosnia and Herzegovina is thought to have a population of 400 wolves, though they are decreasing in number and are afforded no legal protection. Compensation for livestock losses is not paid. The former State Union of Serbia and Montenegro has a stable population of 500 wolves, though it is unknown if they are afforded any protection and no compensation is paid for livestock damage. Hungary has a stable population of 250 wolves which are protected, though with some exceptions. No compensation is paid for livestock damage. Romania has an increasing population of 2,500 wolves which are granted legal protection. No compensation is paid for livestock damage. Bulgaria has a stable population of 1,000-1,200 wolves which are granted no legal protection. Wolves are considered a nuisance and have an active bounty on them. No compensation is paid for livestock damage. Greece has a stable population of approximately 700 wolves which are legally protected. Compensation is paid for livestock losses, with over 80% of it from insurance. The FY Republic of Macedonia has an increasing, yet unprotected population of 1,000 wolves, with no livestock compensation programmed. Albania has a protected population of 250 wolves, which are increasing in number, though no compensation is paid for livestock losses. Turkey has population of about 7,000 wolves, although this seems to be an overestimate. There are some local extinctions especially in the western parts of Turkey and the wolf population is declining in Turkey as a whole. Historically, the wolf has officially been considered a pest species and so it was hunted throughout the year without any limits. 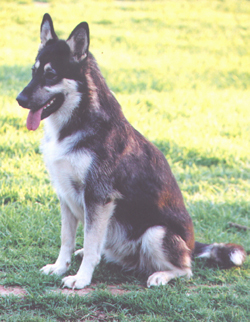 It was only in 2003 that the wolf received the status of a game species. Although wolves in Turkey are not legally protected, the gained status of a game species means that wolves can only be hunted with a license using established quotas which are restricted to hunting seasons. No compensation is paid for livestock damage. Although wolves in Russia have no legal protection, they number 25-30,000, and are probably increasing in number in some regions, such as Koryak Okrug and Kalmykia. Some villages in Chechnya’s Nadterechny district have been reporting increasing wolf numbers since the decrease of military activities. On the other hand, in more populated regions of Central and Southern Russia the number of wolves is very small. 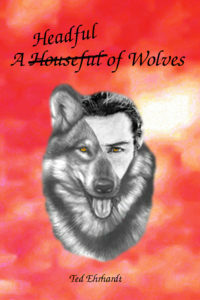 In some regions, bounties are paid for the destruction of wolves and dens. Wolves live in comparatively few numbers in the Sikhote-Alin region due to competition with increasing tiger numbers. This competitive exclusion of wolves by tigers has been used by Russian conservationists to convince hunters in the Far East to tolerate the big cats, as they limit ungulate populations less than wolves, and are effective in controlling the latter’s numbers. No livestock damage compensation is paid. There was a time long ago when I fought the greatest wolf one has ever seen. He was white, with amber eyes that pierced my soul and a strong body that blazed with power and dominance. I trespassed on his territory and angered him; he growled, warning me that where I stood was his land, and there I had no right to be. He stopped and looked back at me one more time, his wise amber eyes pierced my heart more deeply than any sword and arrow I ever took to my flesh: “I give you back your life, my enemy” he said to me, “because you are only a man, and I am a beast.” And in that instant, when I watched him retrieve into his darkening kingdom, I realized who the monster really was. Erin has nothing to report this month but will be back next month.